After working in broadcasting for 20 years (last 10 in TV) and tending to multiple websites associated with Nielsen markets #89 and #9, I came to the realization that local TV websites should be searching desperately for relevancy. When something is relevant, it's thought about often, applied to one's life, and is frequently utilized. This statement rarely applies to local TV websites. Now, don't get me wrong. There's nothing quite like working in the TV biz. It's an intoxicating mix of controlled and uncontrolled chaos with a collection of personalities both lovable and detestable. Many projects are outstandingly creative and fantastically worthwhile to the public. As technology has changed over the years with more advanced cameras, video editing platforms and a digital conversion coming this year, equally everyone's use of the web has changed with social networking and how (blogs vs. websites) & where (wireless devices vs. home/office) people surf the web. In 10 years, very little has changed with local TV websites. Sure, there's been a great deal of talk about convergence, the importance of the web, winning the web, the year of the web, and how the stations must change. Yet, any changes that came had little impact on the TV station's online products. Most TV stations spend more time and resources on their onair product and save the scraps for online. This isn't surprising since onair revenue is still king and what keeps the books in black. This has allowed local TV sales staffs to remain very green at selling their online inventory and being able to convince advertisers to buy their goods. Why is this? Because the root of the problem hasn't changed. Like a cancer, every TV station has a core that's keeping them from success: the culture. Change a station's culture and you can do wonders. Change a culture and a website can become relevant to the station personnel and their customers. Change a culture and a people can enjoy coming to work and making a difference. Take for example the change in Washington, DC, right now. Good or bad, change is here and its overwhelming. Will it last? Will it make a difference? Time will tell. The same holds true for a station's culture. Remove the negative forces and nay-sayers, improve morale, and overall make the station a fun place to work and maybe nothing will change...but maybe everything will change. Although there are two popular companies producing TV website templates (IBS and WorldNow), most TV sites are not created by a skilled web designer. More often than not, these sites are built by personnel who've been in the TV biz and possess web skills. In reality, these combined skills serve a local TV website well, however, stations often have neither time nor resources to deepen the training of these personnel and they are so overworked there is no time to acquire additional training. This is why many local TV websites have such a wide array of appearances, styles, and quality. I've yet to find a local TV station website that hasn't attempted to cram their site with content and advertising: local news, national news, health news, education news, investigative news, sports, weather, traffic, games, contests, blah, blah, blah. The idea is to provide such a haven of content that the customer won't wish to visit another site. If a customer can weed through the design and advertisements to navigate the site (challenge #1) and there's fresh and updating information (challenge #2), they may become a loyal customer. More often, customers are sampling other sources and sometimes do not return. Less is better. White space is good. Just because a station promotes its site onair doesn't mean that the onair audience will care about the website. However, what's worse is to have great promotions that bring customers and then they find an unwelcoming site. The way to bring customers to your online home is to find them online. Use social networking tools (Facebook, Twitter), purchase ads (Google), and use online word of mouth. Don't spam email boxes or tweet useless headlines. There needs to be a reason for them to come, stay, and return. I've met a plethora of very talented individuals who know broadcast TV like the backs of their hands. Their knowledge is worthy of respect. But much like a mechanic who could dissemble a '57 Chevy and rebuild it would be lost trying to dissect a modern automobile, TV broadcasters have tried to apply themselves to the online world where the rules aren't the same. Broadcast Radio & TV and Print people are often incapable of totally mind-shifting to online. 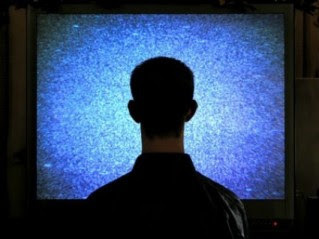 Knowing everything about TV does not equal being able to conquer online. Case in point, newspaper sites beat TV sites to the punch with video years ago. Print often has more resources due to parent companies being built on newspapers and print personnel far outnumber TV personnel. Give these print journalist cameras, set up an ingest system, and voila - multiple pieces of online video on a newspaper's site. TV websites found themselves playing catchup to a concept they should have owned. However, little thought was being given to online. Local news, national news, health news, education news, investigative news, sports, weather, traffic, games, contests, blah, blah, blah. Yup, this is #9, again, because it's important to remember. Focus on something that's not being done and do it better than anyone else. If someone else comes along and does something better than you adapt or do something new. Adapting on the web is easy and costs virtually nothing. The majority of online customers will go to sources they've selected to push them content. For national news, that's CNN or other major networks. Fact is, they're already covering it, covering it faster, and more indepth. Posting AP copy on your site isn't covering national news, it's being a portal for them. Too often local TV websites only post the scripts to stories aired in their newscasts. 90 seconds of copy does not paint a detailed picture on a website. 90 seconds of video represents only a fraction of the video gathered. Yet, this is often all a local TV website offers. Sometimes this information is posted only after the story is aired and sometimes it's held for days before being posted online in fear another station in the market might run with the idea and do it better. TV reporters aren't skilled at writing for the web because onair writing doesn't require correct spelling or proper grammar. TV reporters aren't print journalists, yet they need to become this to tell a story on the web. Local TV websites need to take full advantage of posting the hours of video they capture and stream them on a site with a reliable video platform or video embeds. Often, the formats and platforms chosen to host these tools have been poor performers and resource hogs to users' computers. Lastly, no online consumer cares about another murder or court case being blasted across the frontpage. They don't care about it leading the onair cast, so how could a larger more diverse group online care about it? Post it if you must but bury it. Here's the one that's always gotten me - assigning one person to oversee a website. That doesn't make sense at a designer level, let alone a content, support, and sales level. A single allocated person might work if the local TV website were a blog focusing on one content stream, but most successful blogs have an army of contributors, an editorial staff of at least one, and various support resources. Plus, what happens during vacation, sickness or holidays? Every employee deserves and needs a break. Often these one-(wo)man-bands have the pleasure of being on-call 24/7 but being paid pennies for their efforts. In these bleak economic times (and before), more is expected from few but skimping here just isn't the answer. If a TV station is #1 or #2 in their market, they are likely to have a strong website. Stations that aren't market leaders have a nearly impossible task of becoming a leader onair and their websites aren't going to help get them there. The station needs to become relevant so their product (ala their content and therefore their website) can become relevant. Plus, spending time heavily promoting the website is silly since who's watching that'll go to the site? As with #8, audiences don't mix but when one's onair content is strong, it can't hurt. Local TV stations should either give personnel useful, qualified training from online industry experts or hire enough trained personnel. More can be done with less but only if everyone is involved and supportive from the station to the corporate levels. This will mean changing your environment and culture. Make stations fun places to work. Few stations are designed with fun in mind...it's all about getting the news...making the news...selling the news...and doing other TV stuff. So why would a blogger really want to come work at TV station? Stop doing things the way they've always been done. My father-in-law says, "If you always do what you've always done...you'll always get what you always have." You know where the rocks are here, that is for sure. They need a solid infrastructure, online tools and a vision. I've put news and broadcast properties online since 1995. For radio we built a front end for schools to put up closings; people can send pictures of potholes which serves both as content -- and maybe a news story. Let people help solve problems. There is so much a local station can do -- it takes imagination, initiative and infrastructure (people and IT). Have you checked out NBC New York's new site? It broke from the branding of the local station and seems to be its own entity. Great assessment, yes, and so true. Getting the TV reporters to think 'web' and write well is a challenge, but they're getting there. Trying to do a lot with a small staff is very overwhelming, indeed! Great post! I agree that one of the battlegrounds now in finding a financial model for struggling local news stations is to get the web right. The smiling-anchor-heads and Tony's weather won't cut it anymore. Adding a link from my site. Nice Assesment. As someone how has built a site from scratch and worked with a vendor designed system, I sometimes worry that designers can be part of the problem. Web & TV both need to include audience more, from a usage to design standpoint as well as content on both screens. It's interesting - and this is not a shot at the author - that roughly the same ideas about what tv must do with the web keep getting advanced, to no avail. I spent a couple of days in December trolling through the web sites of the bottom 50 markets, and they were uniformly horrible. Ours was one of the two or three best, and we're not brilliant. My original idea was to hire seven or eight ninja reporters, create a site that ran directly at the local paper and that could be used gto advance the tv side. That idea obviously went nowhere. Increasingly, I think a more realistic approach may be something Rick hints at: a couple of finely focused sites that are not all things to all people. Good, needed advice. But would any of these changes make money? The web offers media firms many ways to offer an audience. You are right on with your observations. I work in PR after a long stint in television news. I have found that most TV stations don't have a clue as to what to do with their websites. Reporters who cover stories related to my clients are either lazy or don't know what to do when I give them additional elements such as video or documents to post on the station's website. It's time for the news outlets to get serious about their sites. I work in print, and it's funny how much of this is also discussed in the newspaper world. We could learn much from each other if we weren't competing. Also, it was my impression that, especially at the local level, TV had beaten newspapers in bringing video to the Web. Maybe that's true just in my area. Who are you calling detestable, certainly not the sales mavens! These are brilliant comments from people who have been there, done that, and didn't want the t-shirts. Nothing I wrote hasn't been stated from my own or your fingers or faces hundreds of times before. I simply believe that if one has a quality site or content, the sales will follow. Great content, poor site, some users...poor sales. Great site, poor content, no users...poor sales. Poor content, poor site...hit delete. The NBC New York site is EXACTLY an example to follow: 2 column design, easy to read and navigate. It's something one can sink their teeth into for a while. I prefer the 2-column design whether the content area is on the left as with this or the right. Personally, content on the left is better only because users read left to right. Bravo to WBAL for getting it right. Not only is this a complete departure from most local TV weather pages but it's customizable to the user...arrange it how you want it. Brilliant. Their homepage, however, needs serious attention as it has a 4-column approach. Disaster.